West Brom have started grinding out results now, and after a poor run of results they have now only lost one of their last seven outings in all competitions. They managed to beat Everton last weekend as well, which will have been a significant boost to their confidence. The visitors have struck it lucky really with their 3rd lower league draw in a row in the FA Cup, and I think the Premier League quality they possess will make the difference in a tight 1-0 win for the visitors. Watford have only conceded three goals in their last five games in all competitions, with this run including difficult matches against Chelsea and Spurs. This makes a clean sheet for them against a Championship Leeds side who have only scored two in their last five a likely outcome. After impressing in the Championship last season and again in the Premier League this term there is no doubt that Odion Ighalo and Troy Deeney have the quality to put the Leeds defence to the sword. A clinical 2-0 victory looks a good backing here. Derby looked like they would be in contention to contend for an automatic qualification spot earlier this season, but a run of eight games without a win in the Championship has seen them slip down the table, a run of form which saw manager Paul Clement sacked. Brentford aren’t the best side admittedly, but they have a great chance of getting a point against a talented Derby side on Saturday so a 1-1 draw is looking good to me. Burnley have only dropped two points in their last five home league games and look to be making a real go at a swift return to the Premier League. They are unbeaten in eight league matches overall and have impressed up front during this period. Rotherham have one of the worst defences in the Championship but the appointment of Neil Warnock at the helm should tighten them up a bit. Even so, I don’t think they will be able to hold off the impressive hosts’ attack and a 2-0 scoreline looks likely to me. Wolves come into this match unbeaten in four away matches in the Championship and are facing a Huddersfield side who have only won one of their last four on home turf. However, the visitors are struggling to pick up three points at the moment and have drawn three of their last four games. This makes a 1-1 draw look like a good backing to me. Both Preston and Sheffield Wednesday come into this game in a spell of good form, with the hosts now occupying the top half of the table and the visitors recently moving into 5th place in the Championship. Sheffield Wednesday are unbeaten in seven league matches and Preston have only lost one of their last six. I don’t think either team will want to end their run of form with a defeat on Saturday, and shared spoils will probably be on the cards. Categories: Blog and Football. 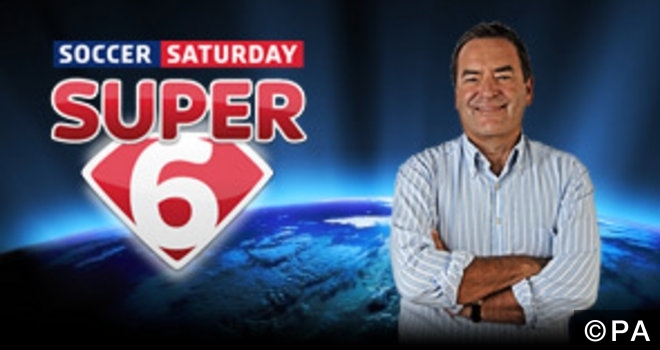 Tags: sky super 6. Sports: Football.